The new Cheetah low and medium pressure recovery unit is the fastest recovery with R11, R123, R245fa and the new HFO refrigerants being introduced into the market. 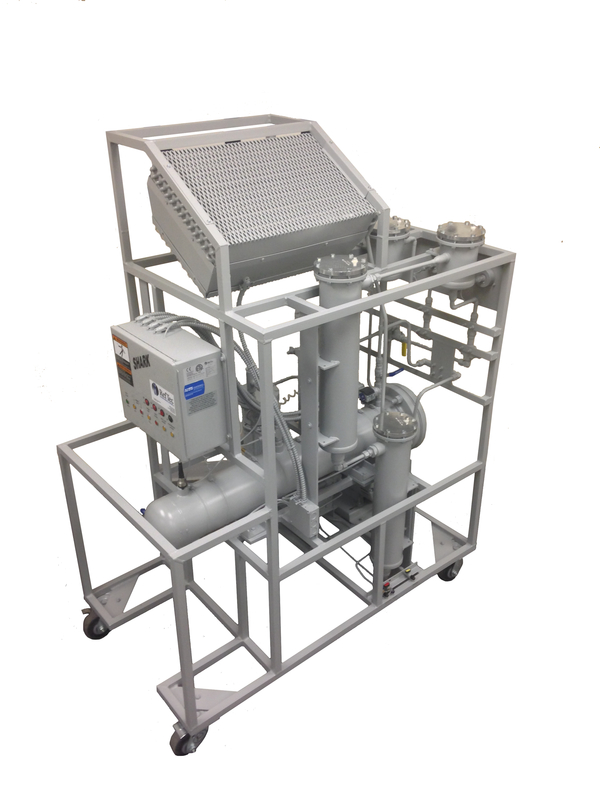 The Shark Recovery and Recycling System is the only unit in the world certified by AHRI to clean gas back to ARI 700 standards in a single pass. Will handle R22, R134a, R410a and others. 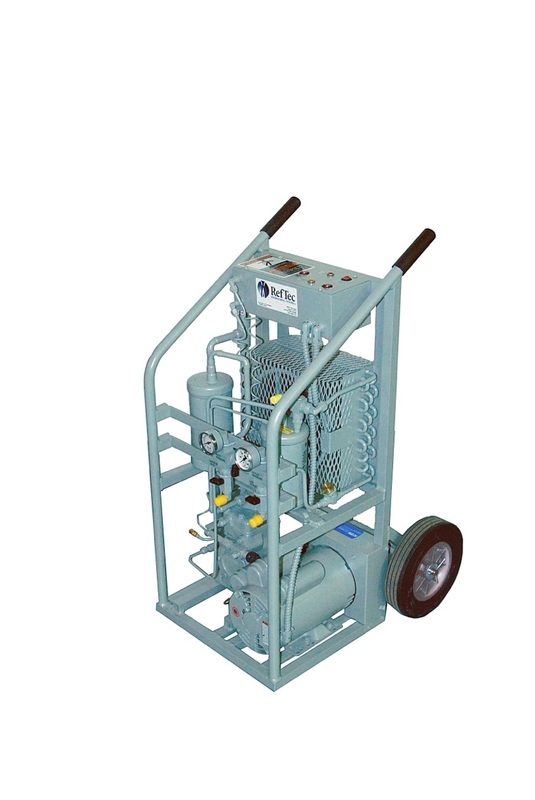 Introducing the latest 110V commercial recovery unit from RefTec. The Lite Evac is the fastest unit of it's kind available. Capable of recovering most high pressure refrigerants including R410a. Founded in 1997, RefTec International Systems, LLC. entered the HVACR industry as an innovative solutions provider and manufacturer of custom commercial and residential recovery units to be used in the HVAC service industry. 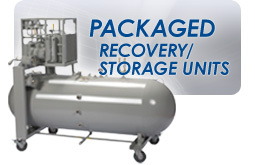 RefTec International manufactures and supplies the heating, ventilating, and air conditioning industry with standard and customized refrigerant recovery, purge, and chiller pressurizing equipment. These units, among others, are used as service tools in the HVACR industry. RefTec provides state-of-the-art engineering and manufacturing designed to provide its’ customers with customized solutions to meet their commercial and residential HVAC service needs. Whatever your HVAC service needs may be, RefTec has the knowledge and expertise to solve your problems. Our unmatched quality and constant quest for innovation has landed RefTec in over 100 countries worldwide. The desire to provide customers with products that fit their needs has kept RefTec at the forefront of the industry. Today Reftec is leading the HVAC Industry by introducing customized chiller service products to land and sea based platforms. These chiller service tools can be found everywhere from casinos in Macau to cruise ships in the Mediterranean Sea. Reftec’s oil recovery units have proven to be a safe, effective way to meet the requirements of the ever increasing environmental regulations while keeping costs down on the tools to complete the job. 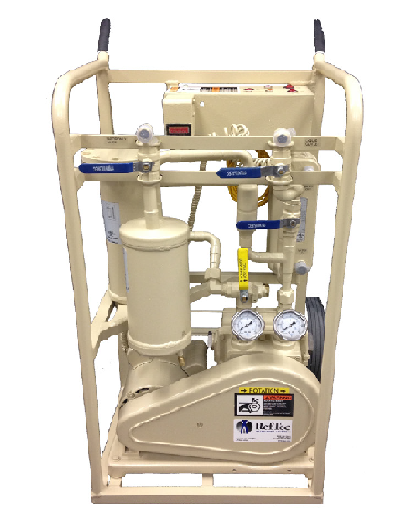 With the rising number of larger chiller systems being utilized over the last few years, Reftec has developed the refrigerant recovery, non-condensable purger, chiller heat pressurizer and refrigerant storage tools needed to handle such large charges. By working with the engineers, designers and technicians in the field, Reftec has consistently been able to provide the right products to complete the job.